delusion that there is more to life than work and worry. This is highly detrimental to your functioning as a normal member of society and can inhibit your continuing development of the appropriate levels of outrage, angst and worry at the state of society and all your fellow humans. 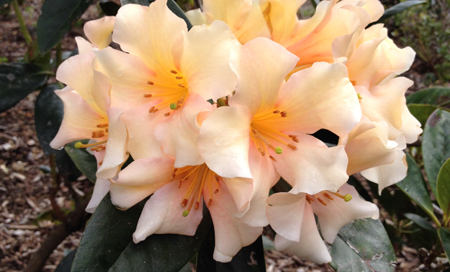 Worse still, it could engender a sense of superiority to those less fortunate who do not view rhododendrons. Working with these subversive plants – growing them, feeding them, tending them - exacerbates these symptoms considerably.